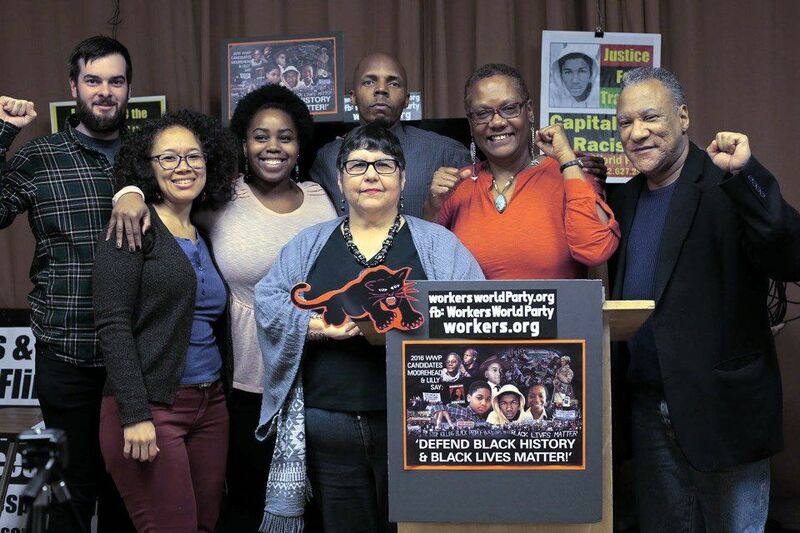 New York — In Manhattan’s packed Solidarity Center, Workers World Party held its annual Black History Month forum on Feb. 27, paying tribute to the revolutionary legacy of the Black Panther Party for Self-Defense. This October will mark 50 years since the founding of the Oakland Chapter of the BPP, a landmark in the Black Liberation movement that continues to inspire revolutionaries to this day. The meeting opened with Kalisa Moore, a leader of the New York People’s Power Assembly, speaking about solidarity demonstrations with the people of Flint, who are fighting racist austerity and the genocidal poisoning of their public water supply. Chair LeiLani Dowell, a Workers World managing editor, read from BPP co-founder Huey P. Newton’s 1970 call to forge unity among women, lesbian, gay, bisexual and transgender people, and the Black freedom struggle. 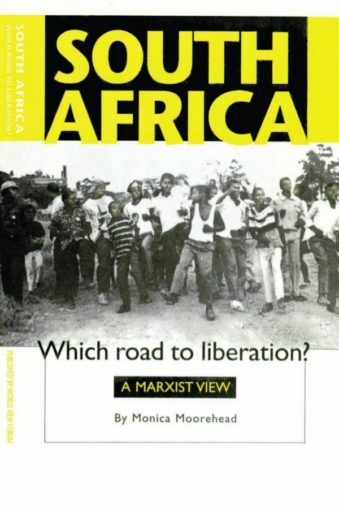 Monica Moorehead, the 2016 Workers World Party presidential candidate, spoke about her experiences reading and selling the Black Panther Party newspaper in the early 1970s in Virginia. Moorehead highlighted the role of women leaders in the BPP, as well as the lasting importance of the Panthers’ 10-point program, a must-read for all serious activists today. Lamont Lilly, WWP’s vice presidential candidate, elaborated on the ideological contributions of the Black Panther Party. Lilly spoke to the guiding role of Marxism-Leninism, which gave a “science to the rage” of the Black nation terrorized by police killings, economic exploitation and racist oppression in all spheres of society. Lilly connected the revolutionary ideology of the Black Panther Party to the Marxist-Leninist analysis and action of Workers World Party. The Moorehead-Lilly 2016 presidential campaign manager, Teresa Gutierrez, discussed the important role of the Panthers as a revolutionary vanguard in solidarity with Latino/a revolutionary youth organizations like the Brown Berets and the Young Lords. Gutierrez announced efforts to make the Moorehead-Lilly campaign a fighting campaign that will take on racism at the Republican and Democratic national conventions and be a struggle-oriented campaign in the spirit of the Black Panther Party. WWP First Secretary Larry Holmes spoke on why the Black Panther Party was so special to the Black liberation struggle, particularly because of its potential as the political and ideological vanguard of the entire working-class movement. Holmes underscored the importance of fighting racism and national oppression as the central task for all who identify as socialists, including those in the Bernie Sanders campaign, in order to continue to build solidarity with the Black Liberation movement. The talks can be seen at youtube.com/watch?v=tDlD1XuoUpQ. For more campaign information, go to workers.org/wwp. The writer is the media coordinator of the Moorehead/Lilly campaign.